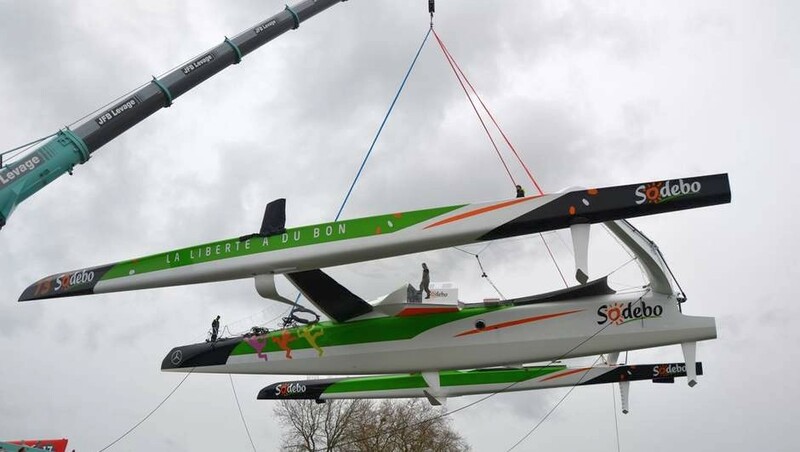 The first images of the Trimaran Sodebo Ultim 3 in the port of La Trinité-sur-Mer in Morbihan in Brittany its home port. Incredibly, Thomas Coville’s new Trimaran is flying from the front, not the rear. The Cockpit is at the front of the Sailboat, in front of the mast.